You’ve goat to be kidding me? 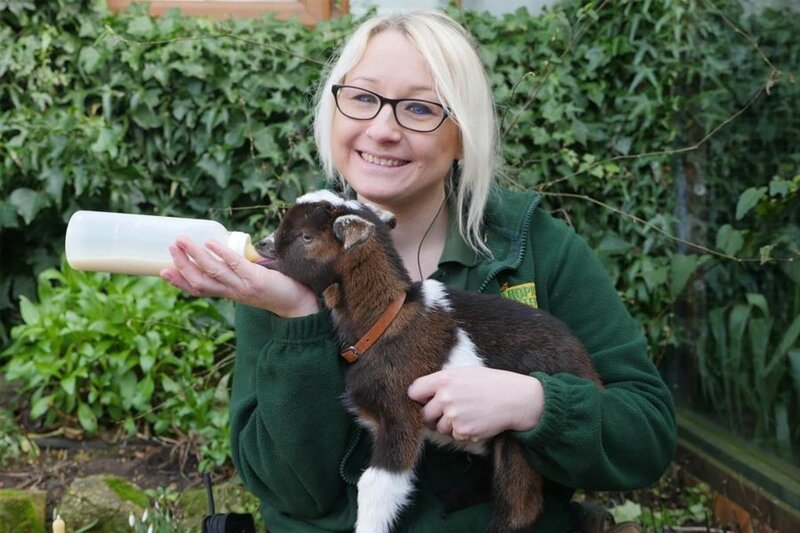 Four baby goats have been born at the Tropical Butterfly House, Wildlife & Falconry Centre. 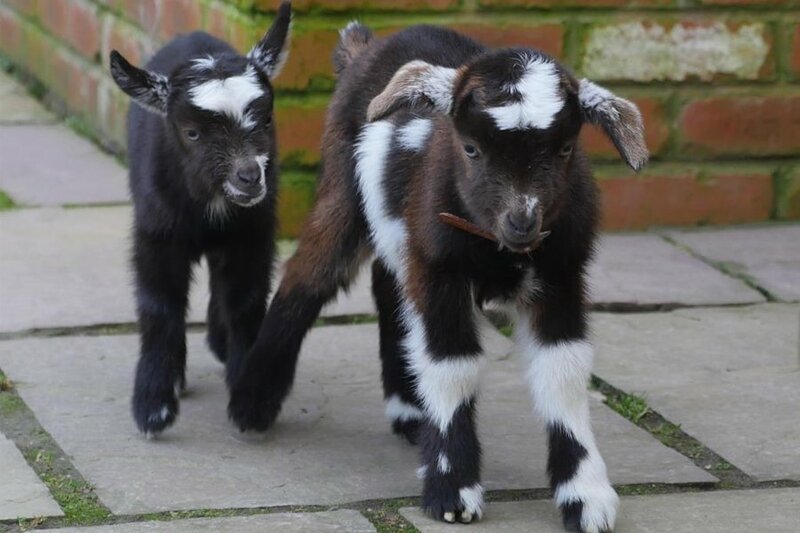 Three of their resident pygmy goats have given birth to four babies. Sadly the first goat to go into labour on 22nd January, Beauty, had a complicated birth, and her, and her first baby, did not survive. The amazing staff at Portland Vets however managed to save the second baby’s life by performing an emergency caesarian section. The miracle baby boy was named Beau in honour of his mother. In the first few nerve-wracking days Beau was cared for around the clock by dedicated animal staff until he was strong enough to join the rest of the goats in the Farm Barn. Just a few days later, two more baby pygmy goats arrived, Sprinkles and Gaston, to mother Pepper. Sprinkles joined Beau as she needed monitoring where the two have since built a strong bond and where Beau goes, Sprinkles is right behind him. The following week, a fourth baby was born to mum Nell, staff have named the baby goat Floss, as she is completely white, and looks the spitting image of her grandmother Flo. Floss is very energetic, and is a big fan of jumping! 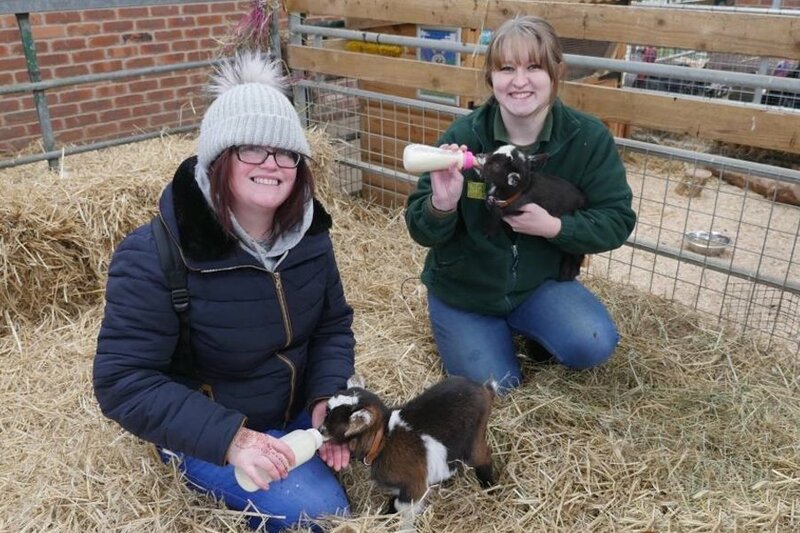 Visitors can help feed the baby goats every day in the Farm Barn, until they’re all grown up, see the encounters timetable on arrival for times. Find out more about Tropical Butterfly House, Wildlife & Falconry Centre.